Paul's letter to the Colossians speaks of a transformation so deep and profound that it can only be described as dying and coming to life again. 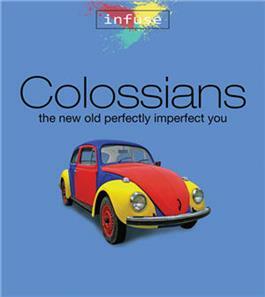 Paul's letter to the Colossians in the first century A.D. may be the most important letter you will ever read! This brief letter has affected many millions of people around the world for many centuries. It speaks of a transformation so deep and profound that it can only be described as dying and coming to life again. In this letter we discover the one in whom all things hold together, the one who transforms us and makes us new—Jesus Christ, the living Son of God—so that we can live for and with God forever.